An article in this morning’s Sun-Sentinel reports what I have believed all along…for people trying to lose weight where their calorie intake comes from matters much less than simply cutting back on them, period! Results, published in the American Journal of Clinical Nutrition, found that there was NO difference in the amount of weight lost OR the reduction of fat, between four groups all on different diets with different proportions of fat, carbohydrates and protein. This study, consisting of several hundred overweight and obese people, assigned participants to one of four different diets, each designed to reduce daily caloric intake by 750 calories. At the end of 6 months everyone that remained in the study lost weight, regardless of which diet program they had been assigned to. “The major predictor for weight loss was ADHERENCE,” said George Bray, at Pennington Biomedical Research Center in Baton Rogue, La, who worked on the study. In the end, he said that people should choose the diet that’s easiest for them to stick to! Dr. Deepak Chopra would call that the Law of Effort. But we’ll save that for a different day. For today, if weight loss is your goal, get on a calorie reduction road, and stick with it. Your goal awaits you. Posted on January 31, 2012 Categories weight loss2 Comments on And There it Is! If I had a restaurant, or a food truck, I would call it The Stuffed Mushroom. But right now, the best I have is my kitchen, which I love to cook in, especially on Thursdays and Sundays. Yesterday, I made a big salad, a pot of split pea and barley,vegetable soup (including a bit of that demon, the white potato) and, as I have been experimenting with the past few weeks, I made a couple of stuffed portobello mushrooms (mine being my “main” course). I look for nice, big, round portos, clean and de-stem then, and then in a drop of oil saute up some other chopped mushrooms. Yesterday I used a blend of mushrooms with some garlic and celery. Then I added some spinach leaves and a half a diced tomato. Instead of bread crumbs, I used one piece of very grainy wheat bread and crumbled it into the pan, which worked well enough to soak up some moisture and somewhat bind the ingredients. After loading up the caps with the “stuffing,” I baked them in a 350 degree oven for about 40 minutes. I opted to leave any bread crumbs off the top, this week, as the bread was enough. They were very satisfying in terms of taste, presentation, satiation and decadence, low in calories and filled with nutrition! Gotta love the stuffed mushroom and know that you are only limited by the boundaries of your imagination! With all the health benefits they provide for such a small amount of calories, let us eat our mushrooms! On the fitness side, my animals had their yearly check-ups on Friday. Our wonderful vet, Dr. Mike, was so quite surprised and pleased at how well Blaze is doing with his “bad” leg. He says Blaze is bearing more weight on it than he has seen him do since his injury well over 3 years ago. I am convinced that there is one and only one reason why he is doing as well as he is, at almost 11 and that reason is WALKING…EVERY DAY. The doc was also impressed with his dental and general overall health. Once again, I am reminded of not only how important daily exercise is for all that ails us, but how great it is for gaining and maintaining general health. How are you doing with your 10,000 steps a day? Let’s all get moving and make it a marvelous Monday. Carol and Nicole, hope you both had wonderful birthday weekends! Judy, you are right! We do think way too much about food in our society…and I read very deeply into things regarding health. I always have, and I always will. In 6th grade, my teacher gave me 2 books at the end of the school year as a gift for being the biggest reader. While I don’t remember what one was, the other was a book about a girl with a physical disability and I loved it and it began a life time of interest in all things related to the human body AND the human spirit. Through my years of teaching fitness, I have pushed people to jump, run, dance and lift more because I always believed it to be the magic bullet (and I still do). More recently I “push” the plant-based diet thing, because I believe there are some disconnects. I promise, I don’t do it for me, I do it because I believe it can cure the incurable. No, Rita, you are not alone, because others that are perfect weight, or even on the low end of their ideal weight, have also been diagnosed “pre” diabetic, so there is a disconnect somewhere. There is also a disconnect between how much food we have in our country and the fact that still, people go hungry. Thank you Lesley and Richard, for allowing me to join you at the soup kitchen yesterday and get a glimpse into what it is that’s going on there, how you are helping and how I can help, too. If you are local and you are reading this and know of any restaurant or store that discards ANYTHING food-wise or otherwise at the end of the day, please let me know so I can pass that information on. This place is in need of most everything, yet they manage to feed over 100 hungry people each day (amongst other things that they help with). I will be organizing a fund-raising effort in the form of a Friday evening class, probably in late February or early March. More about that as I figure it all out! After weeks of wracking my brains out, reading, researching, trying to make head or tails out of what’s going on with so many people being diagnosed with type 2 diabetes, I am convinced of several things. I will refrain from saying anything more about the test and Big Pharma, because I think I have already expressed my feeling on that. (Ya think??) 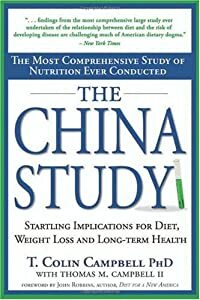 I will say that I revisited The China Study, specifically the chapter on this disease, and am reminded of one of the many reasons I chose a plant-based diet. In study after study, from continent to continent, culture to culture, those who develop diabetes are those who consume the most animal protein. While I will not bore you with all the details of the many studies, “all the findings support the idea that both across and within populations, high-fiber, whole, plant-based foods protect against diabetes, and high-fat, high-protein, animal-based foods promote diabetes.” Western medicine is prescribing a diet that neglects these findings, (for several different reasons) and we are being made to feel that we are doing all we can and still “failing” at our efforts. While radically changing our diets is incredibly impractical and often rather undesirable, how practical or desirable is it to have a lifelong condition such as diabetes? The big bonus is the same “diet” that can prevent diabetes can prevent so many other dread diseases. I am a firm believer that The China Study should be required reading for EVERYONE. No, we don’t always want to know, as ignorance can be bliss…but illness definitely is NOT and knowledge is power. And never, ever underestimate the power of exercise. What a beautiful thing to lunch yesterday with almost 100 of our students. The SilverSneakers program has done so much to improve the quality of life of senior citizens…and me! Like Apples to Oranges. Really? With so little time on Wednesday mornings, and an extra busy day ahead, let me cut right to the chase on BL. I am glad it was just one hour! It was week 4, and still I am feeling little for the show or the contestants, though I always love the weigh in. The challenge might have been OK, if the questions were. Which builds muscle better, chicken or fish? And the “correct” answer was fish? What kind of chicken are we talking about? Breast meat? Thighs? What kind of fish are we comparing it to? I don’t think this was a fair question at all? I have been avidly studying nutrition, especially with regard to fitness, and especially plant-based for decades and couldn’t answer these questions. There were no quantities! How many beans to how many blackberries are we talking?? I hated that the contestants felt stupid and like failures. This challenge had nothing to do with knowledge. Anyway, Black team won giving them exclusive use of the gym for the week, while Red team would go gym-less. Again, this bothered me. There is SO much to do outdoors, it shouldn’t be a punishment! Besides, after a month of gym workouts, I would guess a body would really be shaken up by such a different week or workouts. Change is GOOD. Buddy went gym-less, too, as he went home for the birth of his baby, Levi Martin, but would be back by scale time. Chris, aka “Mrs. Clause,” has a mini-melt down, and we hear her crying “I want to go home,” (mixed with a lot of the F word) from behind the bathroom door. Drama between Dolvett and Conda, who has a horrible attitude. With the show on for just one hour to make time for a speech by President Obama, the weigh in came quite quickly. Most everyone had a great week with lots of people dropping double digits. I am definitely partial to Chism, and was thrilled to see him drop 12 pounds but just as I suspected, Red team blew the scale up! Buddy managed to lose 10 pounds at home and the Red team wins the weigh-in. Emily has immunity as she dropped 9 pounds, and had the highest percentage of weight lost on the Black team. With almost a tie between Chris and Gail, it was Gail who got the tie-breaking vote to go home. I am so glad it wasn’t Chris. Gail’s daughter, Lauren, went home last week and they are both doing great at home. Next week, the aqua team, eliminated the first week, will weigh in and see if they have lost enough weight to return to the ranch. The show is bound to start getting better one of these weeks soon, so I’ll keep watching, if for nothing else, the weigh in results! I thought my President had a lot of really great things to share with the world in his address last night…but I am going to try to keep politics out of this blog because there ain’t nothing peaceful about talking politics! SilverSneakers luncheon today at 1. We will be just short of 100 strong. I do mean strong! Posted on January 25, 2012 Categories Biggest Loser2 Comments on Like Apples to Oranges. Really? Thanks to always motivating, Carol, for sharing this training “tip” from Biggest Loser’s own Bob Harper. Then I am off to start my day of workouts and I’ll be #*@)#*@#&@$&$@ if any of them are gonna get the best of me! How bout you? “Biggest Loser”trainer Bob Harper would like to get you back on the health-and-fitness path. And he’d like you to do it by talking to your food. And to your treadmill. Actually, he would like you to scream profanities at them. The rules of this diet-and-fitness regimen are very simple. In fact, they are the rules that Harper says he uses when he is tempted to indulge in a piece of chocolate cake, or skip a workout and sleep in. Instead of giving in, he gets mad — and then he starts cursing like a sailor. He suggests you do the same. Put on your swagger jacket and let rip, Harper says. That cake doesn’t have any power over you. That’s an inanimate object sitting on a plate that can be tossed in the garbage with a flick of the wrist. How can something so insignificant have any power over big ol’ you? Though it sounds like Harper is joking around, he’s deadly serious. Such verbal self-coaching, while unconventional, will help you break the spell that the chocolate cake, French fries or any other indulgence might hold over you, he said. This self-coaching also work in reverse — use it to get your workout game on, he said. Let’s listen again as Harper gives an example of how he revs himself up to hit the treadmill when he just doesn’t feel like it. Harper said such measures, while extreme, can work if people put some emotion into their words. For more from Bob, Biggest Loser, tonight…8pm or set your DVR! Posted on January 24, 2012 Categories Biggest Loser, Fitness, Motivation/Inspiration, weight loss2 Comments on What the $#*)(#$&*()&2#? And if football brings you peace…May your teams win, today.